Artwork is skin dependent. This means that some skins display a small number of artwork types, while other skins will display many different artwork types. The default skin, Estuary, displays only a limited selection of artwork. Another skin must be used to see other artwork. Each artwork type must be whitelisted in advancedsettings.xml to be added to the library automatically during scanning and scraping. Fanart is also known as wallpapers, backdrops, or backgrounds. 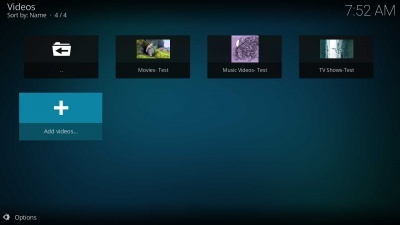 For Kodi they are used as full screen displays to enhance the user experience. Fanart have a recommended resolution of 1920x1080 the display, with a specific aspect ratio of 16:9 to match the ratio of current generation televisions and monitors, which allows the screen to be completely filled by the image. Fanart also does not have transparency and preferably does not have a logo or title on the image. Movie posters replicates the movie posters often seen in cinema complexes, or the front cover of home video releases, and contain a clearly visible logo or name of the movie. Movie posters have a recommended resolution of 1000x1500, with an aspect ratio of approximately 1:1.5. They do not have transparency. Movie banners are wide and short images that contain recognizable characters or props from the movie and typically includes a clearly visible logo or the name of the movie. Movie banners have a recommended resolution of 1000x185 with an aspect ratio of 1:0.185. They do not have transparency. Movie logos typically use the distinctive font associated with the movie and is uncluttered by other images. Movie logos have a recommended resolution of 800x310 with an aspect ratio of 1:0.388. The transparent background allows it to be overlaid on other images or video with minimal impact. Movie clearart have a transparent background with recognizable characters or props from the movie along with a logo or name. Movie clearart have a recommended resolution of 1000x562 with an aspect ratio of 16:9. The transparent background allows it to be overlaid on other images or video with minimal impact. 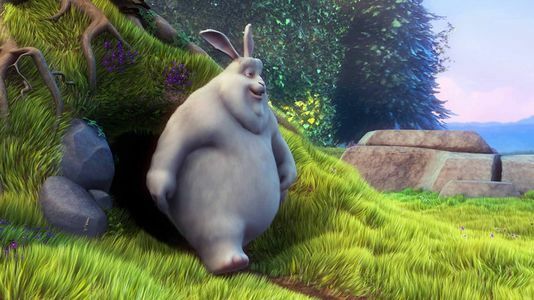 Landscape images are specially made 16x9 images that contain recognizable characters or props from the movie and a logo. They are used in certain page layouts for browsing. Skins can make passable replacements for media items without one with fanart and the clearlogo. Movie landscape have a recommended resolution of 1000x562 with an aspect ratio of 16:9. They have no transparency. Movie discart replicates the picture on the physical Blu-ray or other disc. Although the disc artwork is round, the image itself is square and the disc image is placed in the center on a transparent background. Movie discart have a recommended resolution of 1000x1000 with an aspect ratio of 1:1 (square). They have a transparent background. Movie keyart is a poster without text or a logo. This is useful as a separate item in a skinner's toolbox as it can be paired with a clearlogo or large text title elsewhere on the window, and without text it is less distracting in the background or half-obscured, similar to fanart. Movie keyart have a recommended resolution of 1000x1500, with an aspect ratio of approximately 1:1.5. They do not have transparency. Movie thumbnails are still images from the movie itself, and can be generated from the video file in your library. 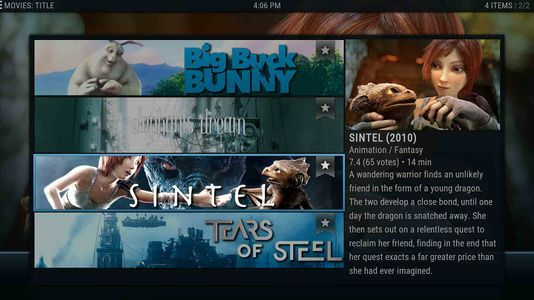 Movie thumbnails are often displayed in small boxes and have a recommended resolution of about 960x540. Local movie artwork can be saved in the same folder the movie file is saved. The default name for movie artwork file names is <movie file name>-<arttype>.<ext> - with some arttype examples listed below and extension matching the image type. There is also a short name "<arttype>.<ext>" that can be used if your movie source folder is configured with Movies are in separate folders that match the movie title, but the long name "<movie file name>-<arttype>.<ext>" still takes precedence. 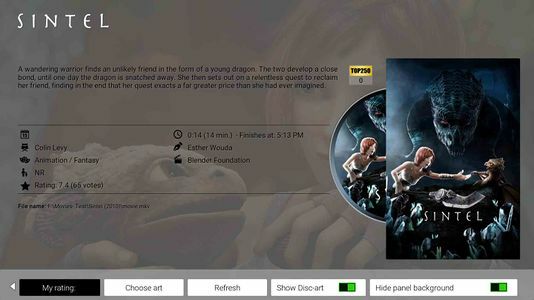 Movie artwork can also be added from online services with an "information provider" scraper add-on. Movie collections / sets have the same art types available as movies. 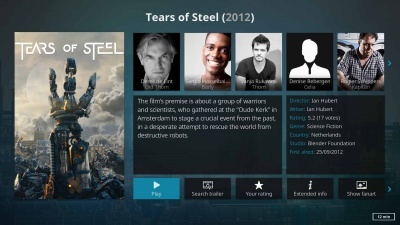 Kodi currently does not support adding movie set artwork from the local file system, but it is supported with scrapers. Movie posters replicates the movie posters often seen in cinema complexes, or the front cover of home video releases, and contain a clearly visible logo or name of the movie set. Movie set posters have a recommended resolution of 1000x1500, with an aspect ratio of approximately 1:1.5. They do not have transparency but do have the movie set logo or name on the image. Movie set banners are wide and short images that contain recognizable characters or props from the movie set and typically includes a clearly visible logo or the name of the movie set. Movie set banners have a recommended resolution of 1000x185 with an aspect ratio of 1:0.185. They do not have transparency. Movie set logos typically use the distinctive font associated with the movie set and is uncluttered by other images. Movie set logos have a recommended resolution of 800x310 with an aspect ratio of 1:0.388. The transparent background allows it to be overlaid on other images or video with minimal impact. Movie set clearart have a transparent background with recognizable characters or props from the movie set along with its logo or name. Movie set clearart have a recommended resolution of 1000x562 with an aspect ratio of 16:9. The transparent background allows it to be overlaid on other images or video with minimal impact. Landscape images are specially made 16x9 images that contain recognizable characters or props from the movie set and a logo. They are used in certain page layouts for browsing. Skins can make passable replacements for media items without one with fanart and the clearlogo. Movie set landscape have a recommended resolution of 1000x562 with an aspect ratio of 16:9. They have no transparency. Movie set discart replicates the picture on the physical Blu-ray or other disc. Although the disc artwork is round, the image itself is square and the disc image is placed in the center on a transparent background. Movie set discart have a recommended resolution of 1000x1000 with an aspect ratio of 1:1 (square). They have a transparent background. Movie set keyart is a poster without text or a logo. This is useful as a separate item in a skinner's toolbox as it can be paired with a clearlogo or large text title elsewhere on the window, and without text it is less distracting in the background or half-obscured, similar to fanart. Movie set keyart have a recommended resolution of 1000x1500, with an aspect ratio of approximately 1:1.5. They do not have transparency. 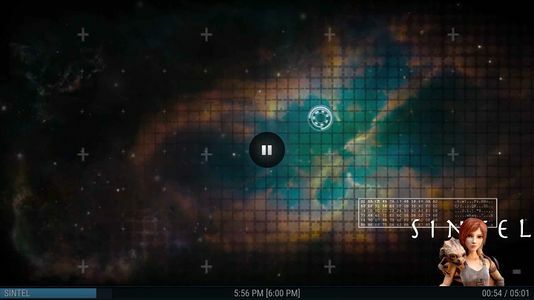 Local movie set artwork is not supported in Kodi, but it can be added from online services with an "information provider" scraper add-on. The add-on Artwork Beef can add local movie set artwork to your library. Movie Set Artwork Automator hasn't been supported for some time, but it is also capable of adding local movie set artwork to your library. The image to the right is displaying the Actor images of five actors along the top row. They are portrait, medium to high quality images. The Folder Artwork, also known as Source Folder thumb, are landscape images that can be used to replace the standard folder icons when browsing your movie sources in the Video menu. You will not see this artwork in the Movies menu. This image file is saved directly within the Source directory. To enable the image, navigate to Videos>Files in the menu system. Highlight a source and call up the Context Menu. Select Choose Thumbnail. If you have saved in the image in the correct location, it will be available to select immediately. If not, you will need to navigate to locate and select it. The image must remain in its original location once selected. Deleting the image will remove it from view in the folder icon. It is possible to download and save additional high quality fanart which the skin can display, usually in a slideshow. Extra fanart is reliant on a supporting skin and the images have exactly the same properties as the standard fanart described above. This is older and more widely supported in skins. Extra Fanart is stored in a separate Folder named "extrafanart". Create a Folder named extrafanart in the folder of the movie, and place each extra fanart image in it. 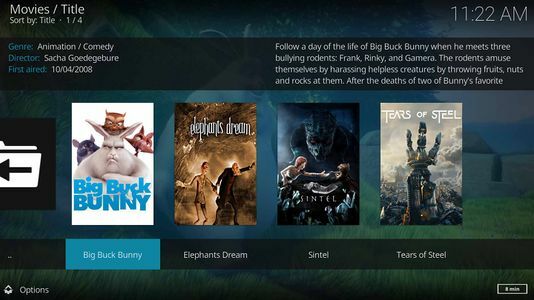 This artwork is not added to the Kodi library, instead skins list the folder directly; this can wake hard drives while browsing the library. The filename is mostly not important. 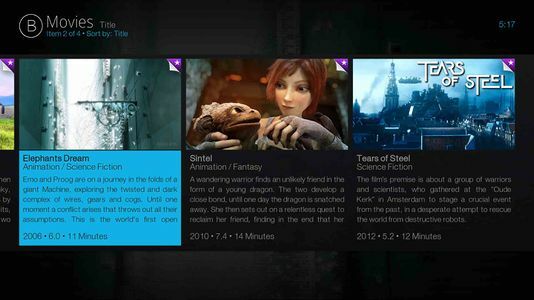 Multiple fanart is an alternative to "extrafanart" that adds all of the fanart images to the Kodi library, and they are treated just like any other artwork type. This is newer and not supported in as many skins as extrafanart. Multiple additional fanart is named "fanart1", "fanart2", and so on with the number increasing for each artwork. The number can increase to 10 and beyond, but numbers cannot be zero-padded. This currently requires more work from skins to display than "extrafanart" and can be awkward to configure because each numbered fanart needs to be added to the artwork whitelist, but the improved performance and behavior that matches other artwork is worth it. It is possible to download and save additional thumbnails which the skin can display. Extra thumbs are reliant on a supporting skin and the images have exactly the same properties as the standard thumb described above. Extra Thumbs are stored in a separate Folder named "extrathumbs". Create a Folder named extrathumbs in the folder of the Movie. Each Extra Thumb must be named thumbX.jpg where X is a sequential number starting with 0 (thumb0.jpg, thumb1.jpg, thumb2.jpg, etc). There is a limit of 10 thumb images allowable. Be aware that some skins utilise less than 10 of the images. The location of the extrathumbs Folder is as follows. This page was last edited on 12 February 2019, at 02:31.